Valentine's Day is getting closer and I'm always looking for a new fragrance to wear for the special occasion. 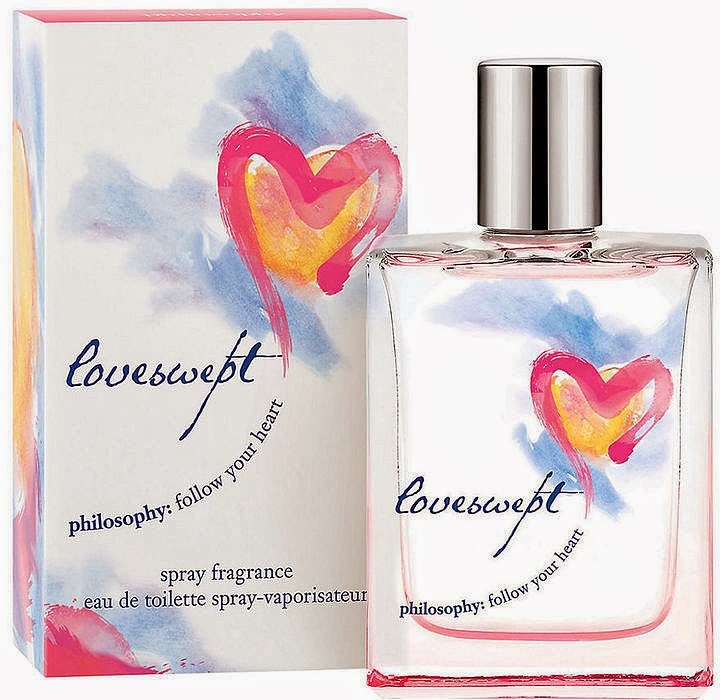 philosophy recently launched loveswept, a new lively, romantic fragrance created to make a woman feel irresistibly swept away. I smelled it and instantly was hooked. It's a perfect blend of fresh bergamot, citrus, pink jasmine, lotus blossom and purple passion fruit. The scent is easily described as a soft floral, but it's also vibrant and bold. The philosophy written on the box reads "follow your heart" and it's a message the brand feels strongly about. philosophy believes in finding your passion and inspiration, and what better way than with a soft spritz of happiness from a new perfume. It's such a dreamy scent, and you'll feel gorgeous wearing it. 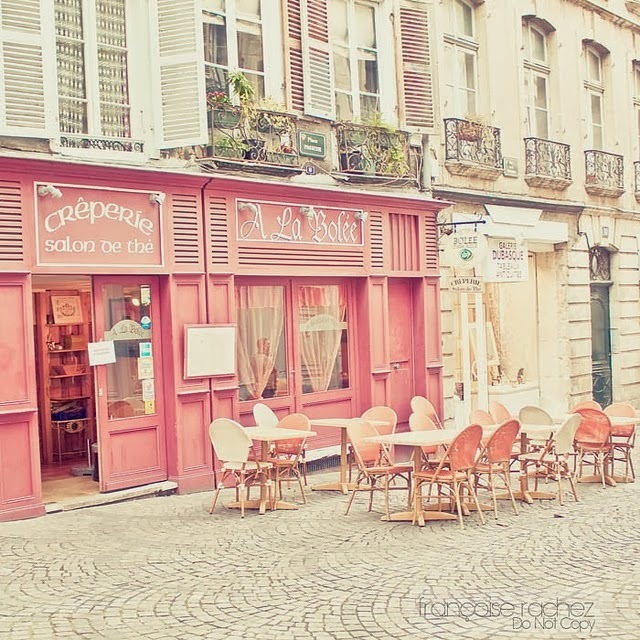 When I think of #loveswept, I imagine a sweet cafe in Paris, like this pink one below. philosophy wants you to continue spreading the love by sharing your love notes using hashtag #loveswept. By doing so you'll have a chance to win a romantic getaway to Paris courtesy of jetsetter. Visit their Facebook page to learn more. The prize includes a 4 night stay at sofitel paris arc de triomphe, 2 airline tickets, airport transfers to and from the hotel and $1000 to spend. Will you be trying loveswept? That pink cafe is adorable - it really does remind me of loveswept!